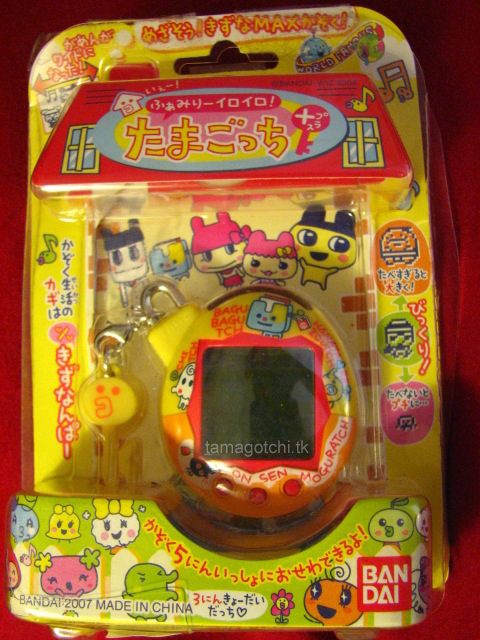 The Iro Iro Tamagotchi is the Japanese version of the Familitchi, also known as the v5 connection. I've been playing with this one for awhile and it is very similar to the American v5. They have the exact same characters, exact same animations, exact same items/foods, and exact same games. 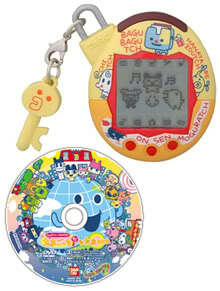 Usually Japanese are very different from American tamagotchis, but in this case they are VERY similar. The only real differences I know of is that the beeping noises are a bit softer, and there is not vacation pause feature. 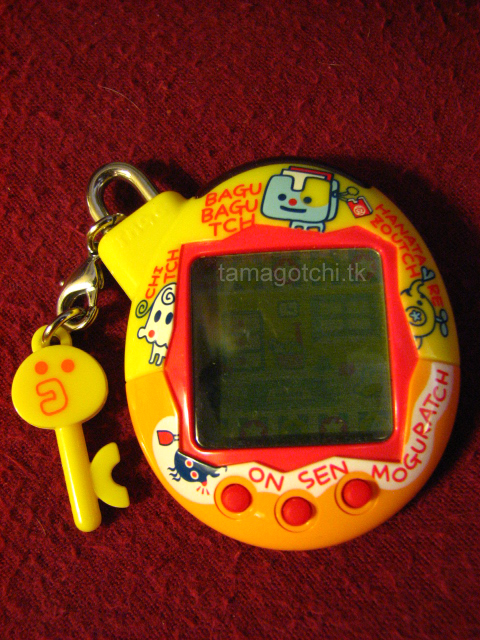 You have to pause like all the other Japanese Tamagotchis, simply by leaving the time in "SET" mode. The outer design is different in that the antenna has been replaced with a lock and key. 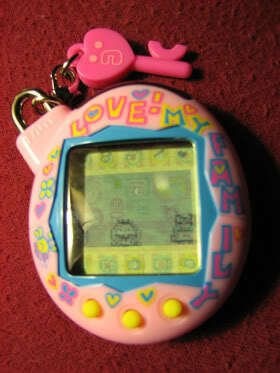 This makes sense to me because it is a "keychain pet", after all. 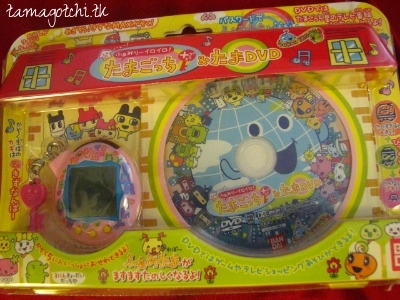 Some of the Japanese shell designs have also carried over to America which pleases me :) It also comes with a DVD, which I have not been able to figure out because everything is in Japanese and I simply don't have the motivation to look up instructions. Another feature I really love about the v5 and Iroiro is that they have contrast adjustment for the screen. Pretty cool! 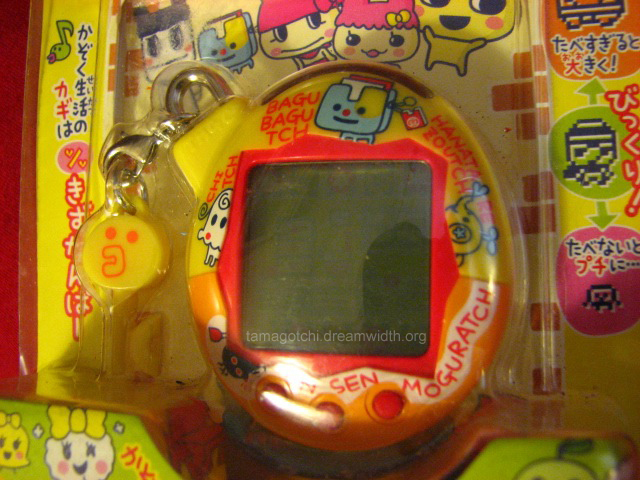 I bought mine with the Tamagotchi CD for computers for about $52. They are significantly cheaper now, going at $27-29 with a disc. 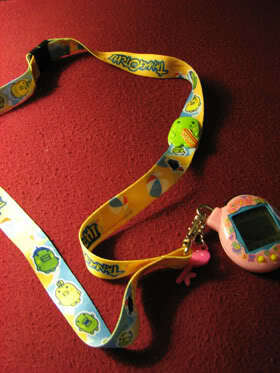 A really great addition to one's collection of Connection Tamagotchis. A growth chart can be found here!